[This event is now over.] Following our previous post about Venta Maria reopening, we continue the food theme but this time a post with an ‘eat by’ date – IV Ruta de la Tapa 2018. Running until next Sunday (2 December), it’s a chance to savour different tapas offered up by the bars and restaurants in nearby Lanjarón. Twenty-two are taking part. It’s a competition put together by the town hall and tourist office to promote the town in, what is, a quieter time leading up to Navidad. 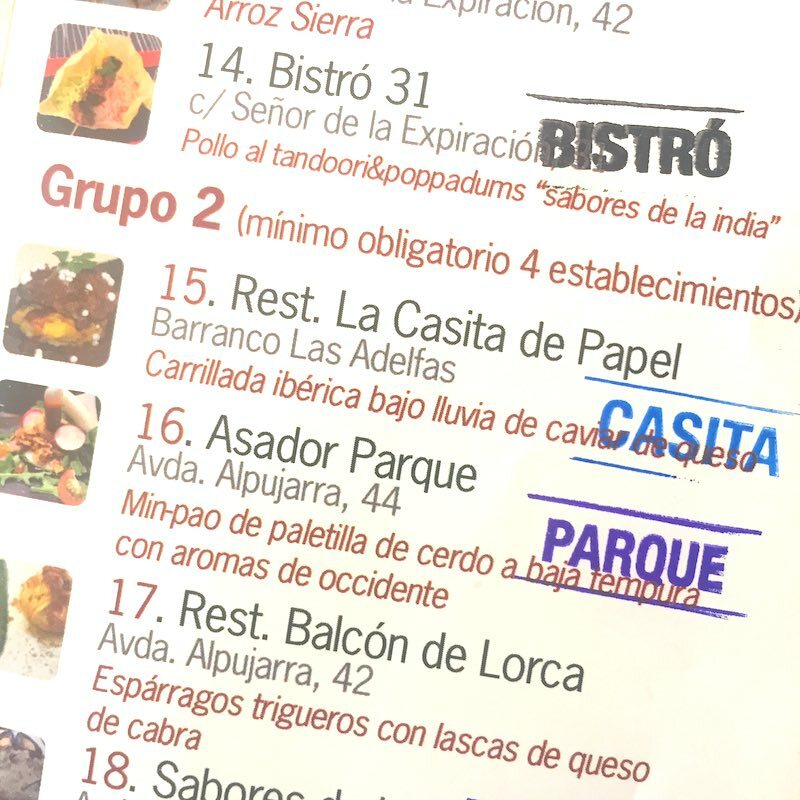 In short, punters visit as many establishments as possible, try the tapa on offer (€2), get a stamp on their card to prove they have been there and then, once the competition closes, choose their first, second and third favourites. The establishments’ votes are totted up and the top three get some sort of cash prize with, of course, the kudos of being the most popular. To be entered into the hat with a chance of winning a €50 voucher (there are five), you need to have visited at least 11 out of the 22 places, including a handful of harder-to-get-to places on the outskirts of Lanjarón (eg Venta el Buñuelo). Last year La Casita de Papel (which we are fans of) won it. 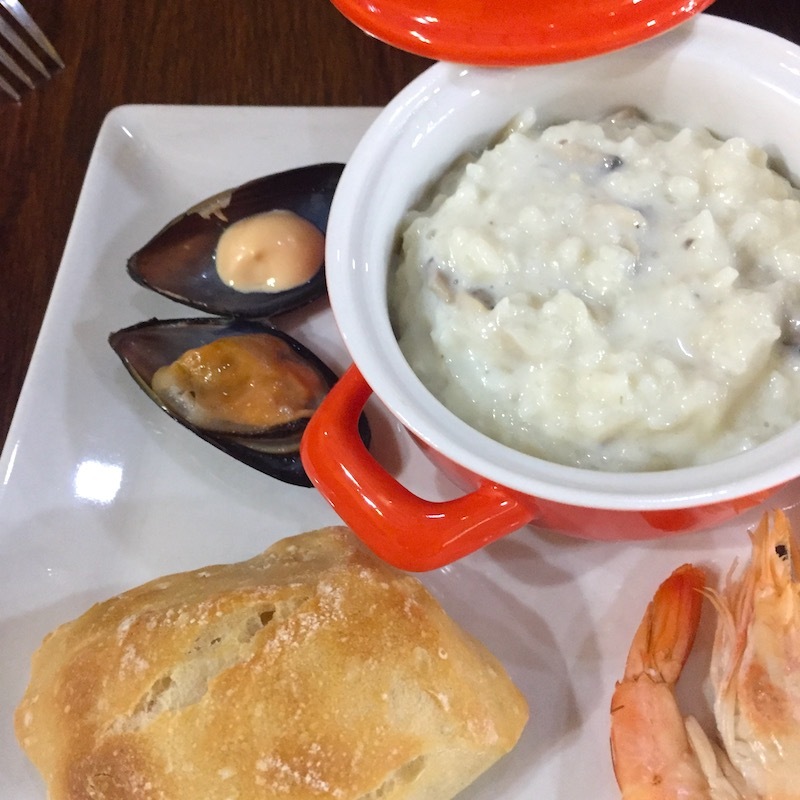 They could win it again as their offering of carrillada ibérica bajo lluvia de caviar de queso – delicious slow-cooked meat on silky smooth potato mash with chives and a ‘shower of cheese caviar’ – was in our top two of seven already visited. 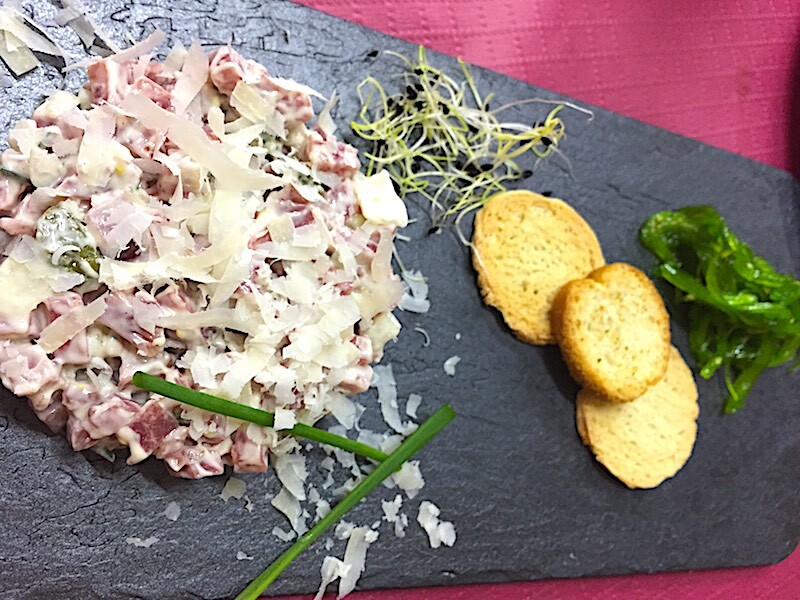 The jamón place, Arca de Noé, had already got things off to a great start with their tartar de salchichón con ensalada wakame – an accomplished offering. No surprise that slates-for-plates cropped up on more that one ocassion – it makes the presentation more, er, special. Thankfully not one tapa turned up in a mini shopping trolley or atop a piece of driftwood (see @WeWantPlates). We’ll return to try some more this week and hopefully get to the requisite eleven gobbles needed – but it’ll take some doing. 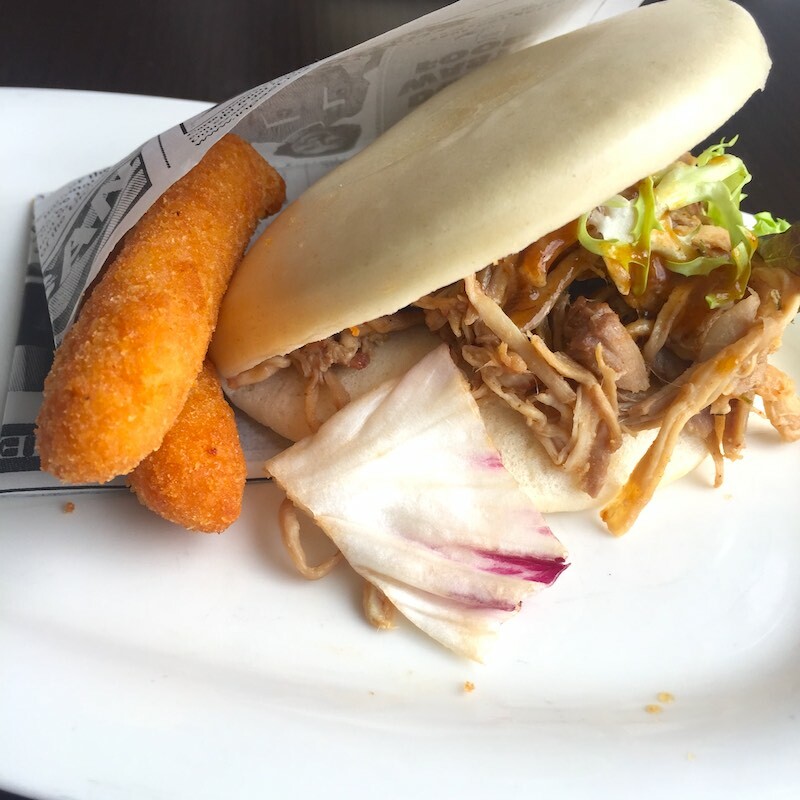 Tapas are free with a drink in Granada province and normally they are just fine but this gives you – and the bars – a chance to try something new, albeit for a small cost. 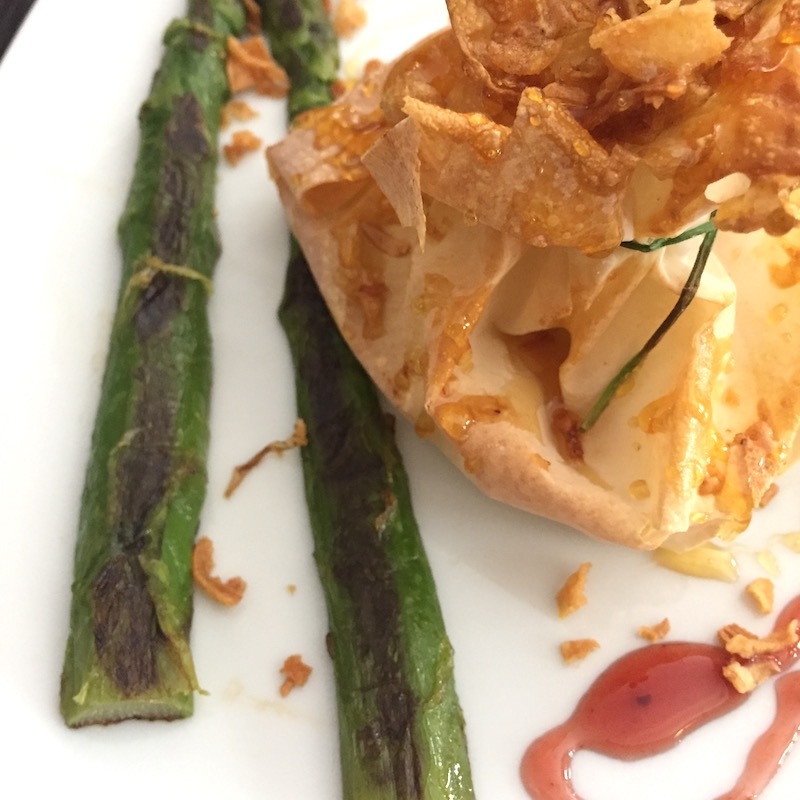 Maybe it’s time for more places to build on the standard tapa – fried whitebait, cured meats and cheese, pork skewer etc – and get creative all year round; we’re sure people would be happy to pay a euro or two in order to eat something more inventive. We noted (and mentioned to some of the places visited) that there was barely any promotion of the competition when you entered the bar. This – along with, say, supermarkets and shops never alerting customers to store opening times during a holiday period, is very Spanish. As if we’re just meant to know about it somehow. « Venta Maria returns – è italiano! I have fond memories of this area, from when we were researching for our Tour & Trail maps – even though I am vegetarian.